Despite being just 19-years-old, Andrea Tester already wears many hats. She’s a full-time student, competitive dancer, assistant basketball coach at Castleton Village School, and a member of the university’s athletic band. Last week, she added another title to her growing list of accomplishments: Business owner. 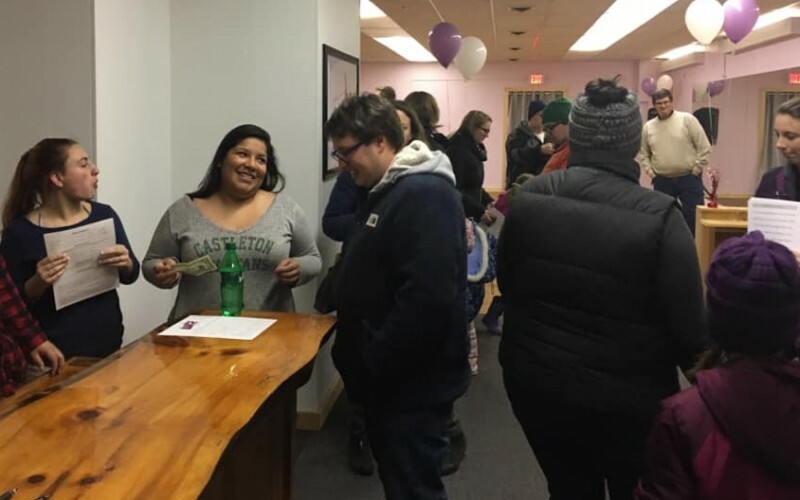 Tester, a sophomore Music Education major from Orwell, Vermont, held an open house for the newly formed Andrea’s Dance Academy on Jan. 18. The academy will offer weekly classes in tap, jazz, Irish step, and hip hop in nearby Fair Haven. Tester plans to teach each of the classes herself. Having danced since age two, she found herself at her last competition in November and began thinking about how she could bring dance to the region in mid-December. “I was joking around one day saying that I should open a dance studio in Fair Haven in one of the empty buildings on Main Street. I had just finished my last Irish dance competition after 10 years and I did not want to give it up so easily. I knew I would miss it more than anything and I figured the Fair Haven community needed something like this,” she said. In addition to recognizing the absence of a dance studio, Tester chose Fair Haven due to its proximity to Castleton. Tester found the perfect spot in a vacant space that formerly housed a karate studio on Main Street. With help from her family and boyfriend, Tester began painting the studio walls a soft blush color, installing new mirrors and dance barres, and laying new flooring with a goal to be open in January. With a roster of more than 20 people ranging in ages from five to 18, Tester is prepared to balance the demands of owning and operating a business with her college studies. She says that Castleton’s faculty have been supportive of her goals, helping her to develop important skills that will serve her well as a new business owner.